Ive never been a Championship side....... 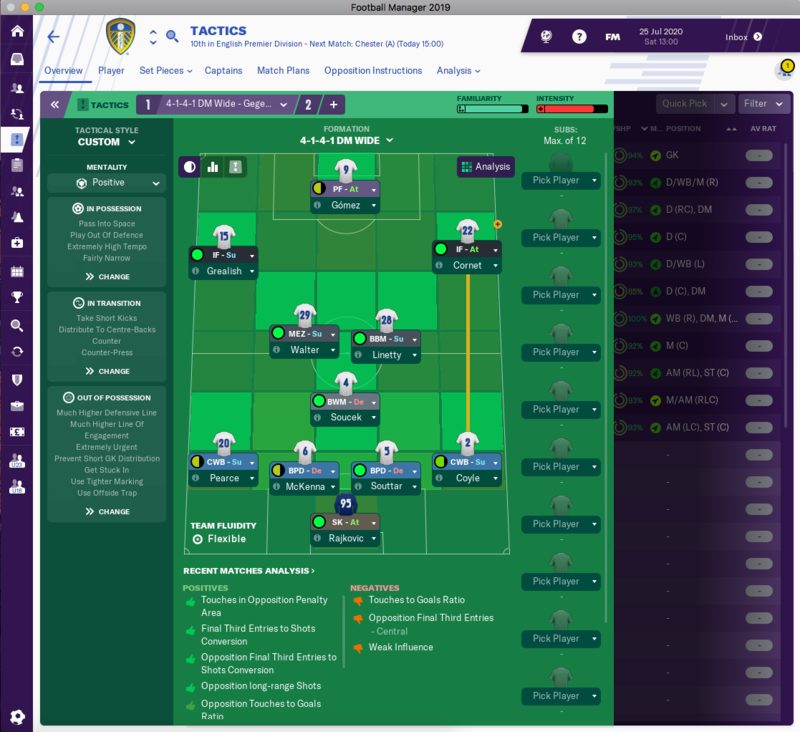 I might take the plunge into it this evening.... Whats peoples views and ideas of what to do first season.... transfers to do in and out of the club? go with your gut feeling. LUFC is good enough to be promoted without buying any players. But look through this thread to see how some people have enhanced the first year squad. My 2nd season in my Leeds save saw an impressive 7th placed finish in the Premier League, narrowly missing out on Europe. Tyler Roberts had a superb season, scoring 23 goals in 35 games and won European Golden Boy. I'm always keen to fill my team with young mainly British players (post Brexit) and develop them. Delph and Howson were both transfer listed fairly cheaply so I thought I'd bring them home, sadly Milner had already agreed a transfer. Alioski and Klich have both agreed transfers away in January so I definitely need to sign a LW (hoping Demarai Gray's wage demands go down, if not then Marlos Moreno is transfer listed at Man City). A CB is also high priority, Jamaal Lascelles is transfer listed after Newcastle got relegated but their asking price is currently £46m!! So am looking for a cheaper alternative. you are doing well. keep going. Does anyone know how exactly Bielsa tactics look, with players role's and TI? It's tricky, as roles in FM don't translate well into how we play irl. Phillips as an example, his "role" in FM would probably be half back, but because of how that works he doesn't get on the ball nearly enough, which means you'll probably want him as a DLP, but then he doesn't always drop deep enough. Your best bet is to start a test save and have a play around - Again unfortunately it's much, much harder to be successful and play Bielsas style in this ME. irl possession is dominated in most games yet at the minute the ME really doesn't reward this. Of course this is my opinion and kudos to anyone who has possession dominating systems working well - I haven't seen anything yet though. I have just had George Thorne at age of 26 retire from football due to injury and my team insurance company pay me 625K payout. With a couple of transfers I found the team quite suited to possessional, attacking football. The team is fairly well rounded so with a couple of additions you could build a good basis for almost any tactical approach. though. Found 4141 with geggenpress v strong. Cooper and Jannson scored 10+ goals in Championship and first year in prem. Added look for overlap, and dropped line of engagement by 1 notch. Opposition instructions showed every opposition player into centre of pitch. Promoted 2nd with very few signings. Christmas in second season, going well but just got this. As a striker or inside forward? Striker - I play a poacher so he and Bamford rotate. Roofe went at the start of the game to make sure he got game time. Shackleton hasn't played much but he's a solid squad player. Pearce is similar as Douglas is so good he hasn't had lots of games. I think Jack Clarke could be immense with the right game time this year. Doing well for you already! Great achievement. I did exactly this. Was doing well in my second season but had sold a lot of the original first team and not developed any of the youngsters. Made it my aim to develop Shackleton, Pearce, Clarke, Edmundson & Temenuzhkov (Just to start with). All transfers will be under 21 or English if over that. sounds really interesting... please let us all know how you get on. Plenty of kids to bring through in Coyle, Clarke, Shakleton and Edmondson. Ive got to prem and maxed my Training facilities, youth recruitment etc but avg only 1 player each intake at 3.5 stars or higher&most of those are 3.5. On one intake i got my first 5 star newgen striker with no determination, workrate and developed fairly unsporting as a character trait. Doh. I have just completed my second season, the first year back in the Premiership. Finished 5th! Unbelievable season. Charlie Taylor averaged 7.68 for the season. Glad I brought him back! Already done a few transfers in preparation for Europa as my squad was thin. Pedro, Kenedy, Patrick Roberts and Mario Mandzukic all in on frees! Finished first place in the championship in my first season. Wanted to give two shouts that made it happen. I made two loan signings in January. Smith-Rowe from Arsenal and Allan Saint-Maxim from Nice. Those two guys on opposite flanks playing winger attack took us from probably a top 5 finish to league win. 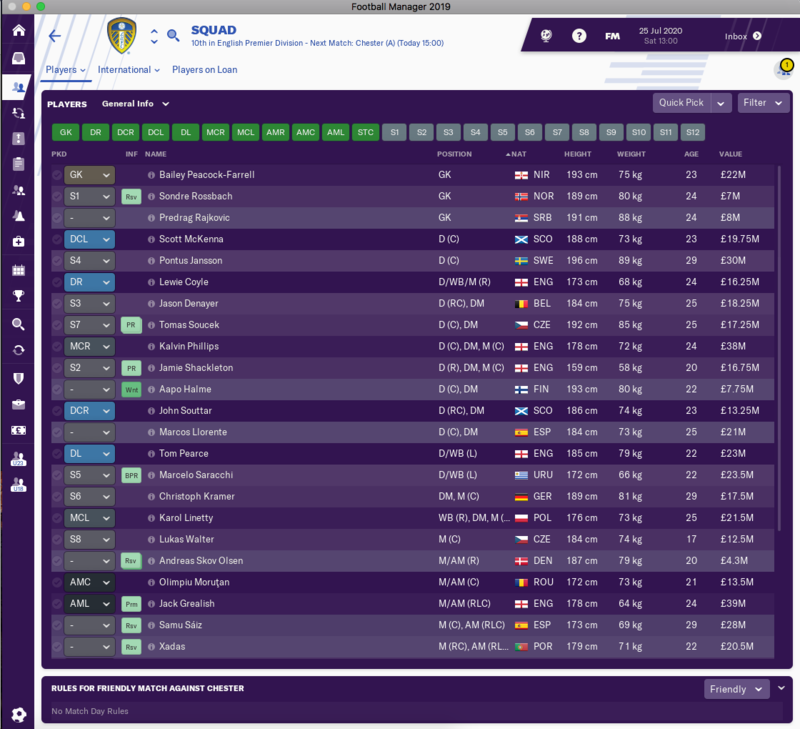 Hi all, not really posted in the forums before, but thought I'd give you a little insight to my Leeds save. So, the first season we won the Championship, with a mixture of 4141, and 4231. Major transfers to note were that Jansson was sold for 8.25m on deadline day in January. Gian Marco Ferrari was loaned in as replacement. In our first season in the Premiership, we finished a respectable 13th, the most notable signing was Andreas Pereira from Man U on a free. Our second season we finished in 2nd place, 15 points behind Arsenal. I am currently England manager as well, offered the job in the summer of 2020. Mamadou Sakho 21m from Crystal Palace, and Rubins Loftus Cheek 4.3m from Chelsea were the notable signings. Managed to also get Kevin Akpoguma from TSG for 3.7m. Into our third season now, and we're currently 6th in the league with 15 games to go. The Champions League was a disaster though, out at the group stage. I find the 4231 works better, I have pushed the RMC back to the DMRC position, and look to play an inverted Z formation. It does seem to work although we tend to attack down the flanks a lot??? 1st season Won the Championship quite easily without adding loads of players to the squad. I won it with 95 points and scoring 83 goals. Top scorer was Roofe with 29 goals from 40 games. Manged to get Fiete Arp for £22 million and D.Berardi for £21 million, both world class players. Sold Ayling for £11 million and Aloski for £9.25 million. Top Goalscorer was Arp with 21 goals. 2nd season in the Premier League and I'm currently on a 9 match unbeaten run and sit in 5th place after 14 games. Antonio Marin just keeps on getting better and better with every game, now worth 19 million and is a 1st team regular at 19. Jack Clarke is getting sub appearances but it's hard to start him in games with Arp and Haland in the squad. Brought in Xadas and two wonderkids in Haland and Abdulkadir Omur, but while Haland is doing well, the other lad Omur looks like he might be a massive flop for £27.5 million, but you never know. His stats say otherwise, but he's just not clicking in the team yet. Will update again at end of the season. First summer, signed Tonali, Marin, Xadas, Arp and brought back Robbie Keane! 4 of the best wonderkids on the game in the championship! How? if i remember correctly you only got a couple of 100 k in transfer kitty and no wage budget first summer? 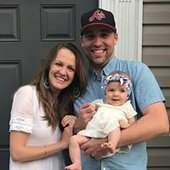 did sales generate that much to cover for thoose 4? In my other save I got Tonali on loan with a £4.5m option and Marin you can get for <£2m. I have managed to regularly raise £15m - £20m in transfer funds off the bat (Roofe, Saiz, Hernandez, Alioski, Dallas) can raise that and more, you can also sell Klich & Cooper, depending on who you identify to replace them and whether you mind using loans. It's not impossible at all to raise enough to get 3-4 very very good players in. Selling others then gets you enough to buy another couple of good players, or get loans in with future fees. I've had Morilla, Mendez, Souttar and others in on season long loans with future fees agreed. Example: This was my first window signings in my second save. Didn't bother with Marin in this save I am trying out a narrow 4132 formation. 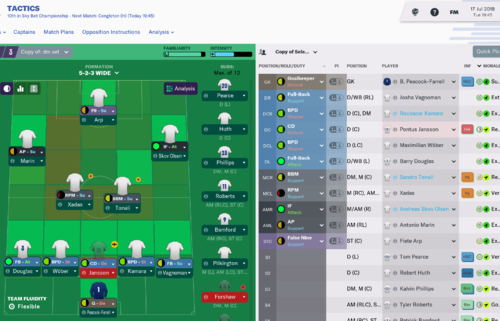 Got FM2019 a couple days ago after a 5 year absence from the game. My desktop is quite old now, so didn't load much in the way of database or leagues based on the warnings at the start but its zipping through so wish I had put a bigger DB on now as I don't mind load times all that much (Especially with my The Wit Of Cricket book to pass the time). Anyway started as Leeds as I always do, quite a big difference in some parts to the last time I played, but the basics remain the same. It's a bit odd not having to sell half the squad immediately when managing Leeds, as not experienced that since probably CM 01/02 ! With that being said, I literally have no exciting transfer tales to tell. Not one single in or out to speak of, though Kun Temenuzhkov went out on loan to Livingston. Pre-season was average, started with a 4-1-4-1 but after two drab draws, switched to 4-2-3-1and haven't looked back. Beat Stoke first up thanks to an early Jack Harrison goal. Brought back down to earth the foloowing weekend by Derby County (can't remember their managers name ), an 89th & 95th minute double from Jack Marriott giving them a 3-1 win. Then lost only 1 between then and the October international break (3-4 home to Preston). Through to Carabao Cup fourth round thanks to high-scoring wins over Charlton (3-2), Derby (2-2, 5-4 on pens) & Leicester (4-2). Despite what you may think, our defence isn't all that bad, though we are conceding at a rate of a goal a game in the league. I give up on leeds. 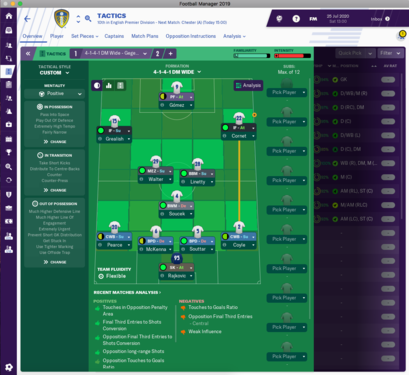 I tried every downloadable tactic praised by people here and on fm scout, I tried tactics developed by me, I tried 4-3-3, 4-2-3-1, 5-3-2, 5-2-3. Regardless of what I do, I always end up mid table with leeds. Somewhere around 12-14. 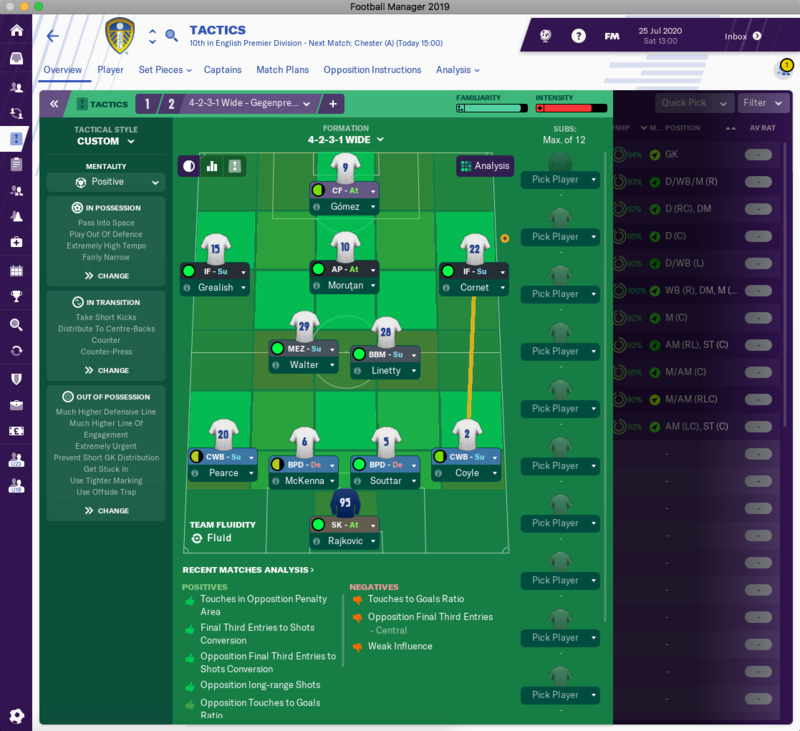 Just bought the game last week, started as always with Leeds. After 29 games in first place ,66 points and 1 loss. First 22 games i was undefeated, my tactic started from a 4231 control possesion preset, and evolving now into a 433, still choping trying to make any of my strikers to score. 4141, geggenpress preset. Full backs on attack, inverted wingers on attack and the striker as dlf s. Any variant of bwm dlp and ap have worked for the midfield 3 for me. Keep trying! Signings so far are: Robert Huth on a free, Giuseppe Rossi on a free, and Ravel Morrison on a season long loan with option to buy. I’ve decided to jump on the bandwagon after not being able to get into a save. In my third season with Leeds now - won the Championship in my first season, and managed to sneak into the top four last year, coupled with an FA and League Cup double (mainly thanks to avoiding the 'big six' all the way through until the finals). Currently switching between a 4-1-2-2-1 and a 4-2-3-1 depending on the opposition. Annoyingly, I still have £75m in the bank, but my wage budget is maxed out and the board are refusing to increase it any more because they think it's high enough already... Which is a shame, because I think I'm still lacking a top class RW, although Maxwel Cornet surprised me immensely (only cost £2.7m last year, and scored 16 goals last season). Might be the season Jack Clarke properly steps up to the plate, though. Had to start my save again due to a corruption. You're right, you barely get any money to start with. I firstly stated to the board my expectations were to win the Championship, then asked for more wage budget which they agreed to. Sold both Kemar Roofe and Gianni Alioski for decent money. Has a supporter.Thanks everyone, you guys have inspired me be to Leeds. 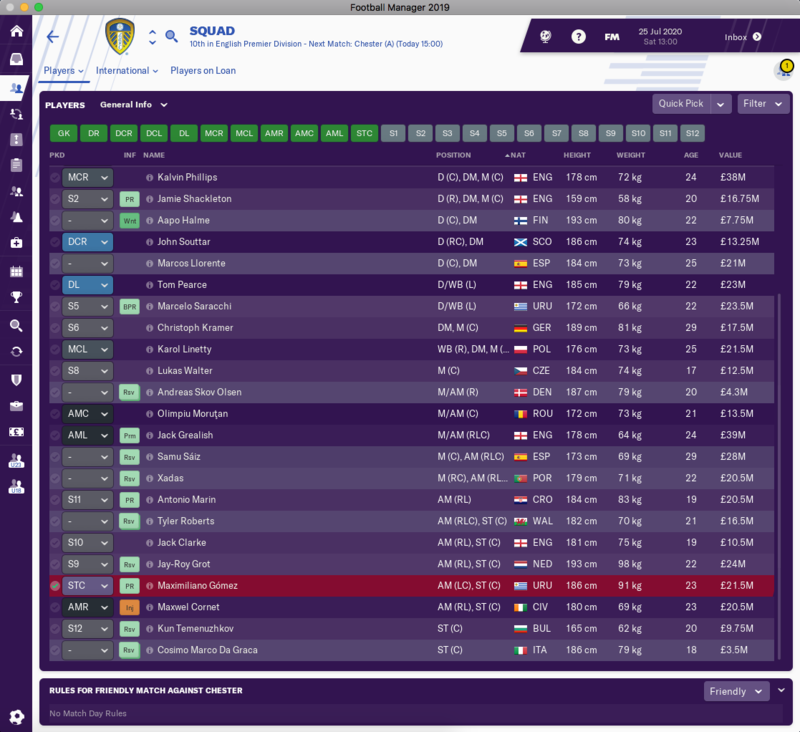 Wasn’t going to be this year as I do Leeds every season, guess I haven’t settle on save this season. Is anyone still playing as Leeds, how are you all doing? Pretty happy with the team now and comfortably turning over every team outside the top 6 in the prem and doing well against the top 6. Invested about 20m in youngters in the summer because I was lacking numbers so should have enough depth to do well across the cups and the champions league as well as the prem! I’m still going too- 22/23 season and now trying to defend PL title! Did the double last year to end an annoying run of losing finals. Lost in both uefa cup and FA cup finals in previous seasons. I'm into season 3. 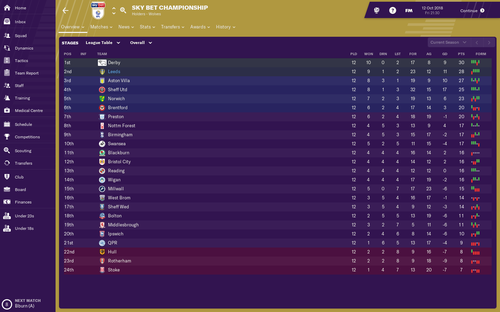 120pt promotion season from Championship followed by a 7th place in PL. Now competing in Europa. We score a lot of goals and the defense has solidified this year. Just had my first EL group game and beat Olympiakos 10-0 with a heavily rotated team. Looking good. 1st season won Championship with 100+ points, 1 transfer in only (Marin) 2nd season i was 3rd, just two points behind Liverpool and Man city. City won on gd. We won Caribou Cup. 3rd season in Feb still have Pearce, Elioski, Coyle, Jannson, Ideguchi, Phillips, Clarke, Klich, Roofe, BPF and Shakleton are in 1st team squad still. Couldnt develop Dalby and Edmondson tho. Too few games to give them all time! Couldnt develop Dalby and Edmondson tho. Too few games to give them all time! I'm having the same issue with these two. Dalby is out on loan at League 1 level and Edmondson in our U-23's but neither have had a minute of 1st team action for us yet. Clarke and Kun T are just too good and need the game time. I've also signed a young Czech striker, Vasil Kujev (sp) who is ahead of those two. I've also retrained him to MR to help get game time. 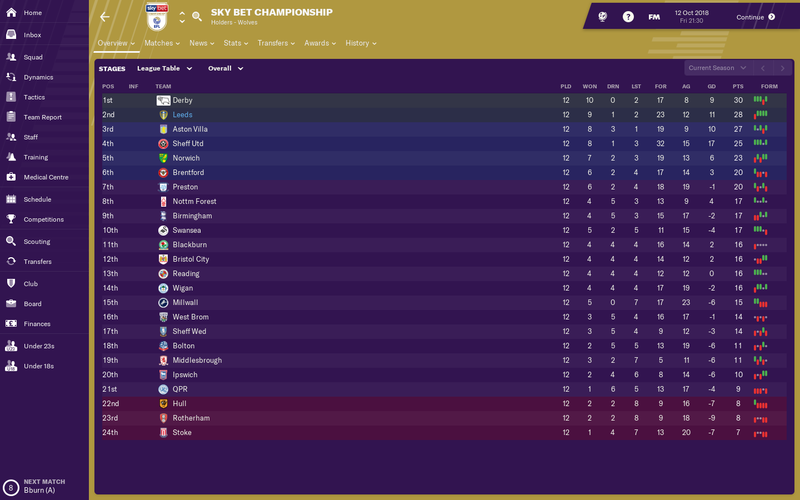 3 games to go in my 1st PL season and hanging on in 17th position...anyone been relegated from PL with Leeds and get back up in next season found it tough so hoping to survice then have a clearout. As a Leeds fan I always take on Leeds on FM. Not had the prolonged success that some on here have had, but did manage to get promotion as Championship winners in my first season. I added Jonjoe Kenny, Jan Bednarek and Younousse Sankhare (of Bordeaux) on loan and sold Ayling and Hernandez, with Brown and Baker also leaving. I also added Antonio Marin for relatively little. In January I lost Stuart Dallas, and so brought in Solly March on loan for the season to help me towards the title. I also added Pelayo Morilla, who got a decent amount of game time and has a high potential rating. I use a custom tactic that worked very well. I think I lost twice afterBoxing Day, but had some rocky form before that. In my first season in the PL I added Sankhare on a permanent basis, whilst also extending the loan deals of Harrison and Kenny. I found that the wage bill shot up when your loan players return, and found it very difficult to get Ekuban, Anita, De Bock, Shaugnessy and O'Kane off the books that summer. I also added Dario Maresic to the squad as a better defender, as well as Ollie Watkins from Brentford, Jack O Connell from Sheffield United and Diego Benaglio from Monaco. I fairly comfortably stayed up, which was always the aim, and am hoping to continue that trend this season. I've added Cragno from Cagliari (Benaglio retired), and Vagnoman from Hamburg. I also signed Eduardo Salvio to replace the outbound Alioski, and brought in Harry Wilson and Erik Palmer Brown on loan (as Harrison and O Connell both didn't want to be here this season). My last addition was Erling Haaland to strengthen our striker options. Hope it goes well. Could you please let me know how much McKenna, Souttar and Grealish cost you? And how have they performed up until now? 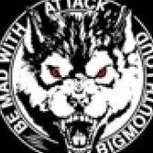 Any CA/PA changes in the upcoming update mate? Nice! Don’t want to spill the beans I take it? 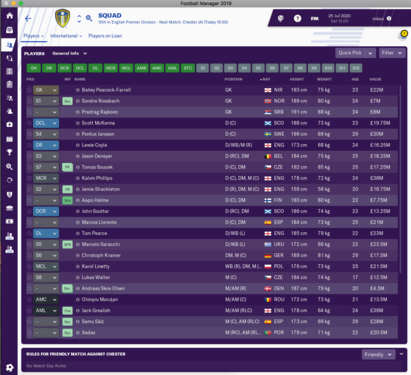 Just finished my 3rd season with Leeds. And won the PL and Europa League! Wooooooooooo! Took the PL title in a last day showdown with Liverpool at Anfield. Went into the game 2 points clear of them so just needed to avoid losing to take the title. The run in had been insane and both teams had suffered for being in a lot of competitions. So much so that our final match was postponed til the Wednesday after the final Sunday. They were without Firmino and Salah and we were without Oxlade Chamberlain, Piedl and El-Ghazi (all my right wingers basically!). We took an early lead through the RW replacement Vasil Kusej but they quickly pegged us back and then took the lead shortly before half time. We were dominating but couldn't break them down. After 75 minutes I threw the kitchen sink at them and finally on 85 minutes Bamford poked home an equaliser after a scramble in the box. Queue me going into protection ultra defensive mode. We held on and took the title! 3 days later we played them in the FA Cup final and while they had Salah and Firmino back and fresh we looked jaded and lost out 2-1. Another week and a half later and we took on Dortmund in Paris in the EL final. This was a masterclass, Piedl back on the right wing and everyone else fresh after 10 days off. Dortmund took the lead after 4 minutes but that was really the last time they got a look in. We steamrollered the first half and took a 3-1 lead to the break. Second half we didn't let up and ran out 5-1 winners to claim Euro glory! Many of our players were brilliant throughout the season, but one stood out. Antonio Marin. 20 year old LW. He won the treble of awards with FWA Footballer of the Year, Players Player and Young Player of the Year. He finished with 26 goals across all comps and an average rating of 7.67. Real Madrid bid for him in Jan but didn't meet his £75m release clause. He got a bit upset but I promised to let him go if they met that number. I need to renegotiate that contract now as that promise is valid til end of summer window. Kemar Roofe finished with 33 goals in all comps, 22 in the league. He was joint top scorer with Kane but played one match more so Kane took that title. Bamford and Temenuzhkov also broke the 20 goal barrier in all comps with Jack Clarke not far behind on 16. Butland was amazing in goal all year and all the defense played brilliantly. Liam Cooper did get sold in January to Brighton but he'd never played this season and wasn't going to. He was happy to go and only Jansson had a little whinge about the sale but he was easily placated and made captain. For next season I'll be looking to upgrade my DLP and maybe look for another complete forward, Bamford is on the wane and I'm not sure Clarke is quite ready to take that role full time. Other than that though I feel we're ready to take on the CL.